If you want to stand out on the Rye streets, explore the E-Class Cabriolet for sale at Mercedes-Benz of Greenwich. The E-Class convertible design offers flexibility to your Stamford commute and includes a host of exciting luxury features. Explore our current E-Class Cabriolet inventory before making your way to our dealership to take it for a spin. Why Choose an E-Class Cabriolet? Ready to explore the E-Class Cabriolet in person? 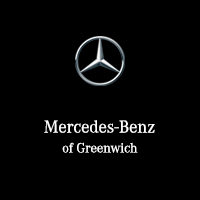 It’s time to make your way from Darien to Mercedes-Benz of Greenwich for a test drive! Our friendly, experienced staff will help you find the E-Class configuration that best suits your style and budget. Have any questions? Don’t hesitate to contact us before stopping by.